What is a "Manifestation of Willingness to Renew" And Why Does It Matter? From time to time, a few of our insurers may issue documents on your insurance policies that may seem unnecessary to you. We've had a few questions about these in recent weeks, so we thought we'd take a moment to address them. Most insurance companies begin working on issuing renewal policies or quotes somewhere between 120 and 60 days prior to the expiration of that policy. So if your policy expires on January 15th, there's a good chance your insurer is already examining your policy and deciding if they want to renew it, at what premium they would be willing to do so, and whether or not there are any changes to their coverage they want to implement. That 60 day mark is important to companies, because if they want to change the language of a policy or get off of it completely, they're obligated by insurance regulations to send a notice at least 60 days prior to the expiration of that policy (in Illinois and Missouri, Indiana has different regulations that vary based on the type of policy in question). The Department of Insurance for these respective states have set this deadline so that consumers aren't left scrambling for coverage at the last minute. If an insurer misses that deadline, they're obligated to renew coverage as it was the prior year. If a carrier is going the non-renewal route, they would issue a "Notice of Non-Renewal" to the policy holder. If they're changing the wording of their policies, they have to issue a different type of notice, typically a "Manifestation of Willingness to Renew" or a "Notice of Conditional Renewal." Basically, the latter of these notices say "we are willing to continue writing this policy for you, but with the following changes to the policy form." They will then include an outline of the changes being made. These modifications to policy language could happen for a variety of reasons. Often times, they're simply to clarify wording. Occasionally, they are to broaden coverage provided and sometimes they restrict coverage. In almost all instances, it's because past claims and incidents have brought existing policy language under closer scrutiny, hence the company's desire to clarify, expand or restrict the wording to what was originally intended. They can be confusing; usually they'll only reference the section and paragraph of the change and the change in wording. To get a better idea of the full extent of the change, you'd have to dust off your policies and go digging through them to read the complete section or paragraph to try to understand the change. If there's ever a change that would have us concerned about the comprehensiveness of your protection, we would address that directly to you and, of course, look for alternatives, if the situation warranted. The single most important thing you can do to keep your family and business safe from fire is to have a smoke alarm in every bedroom and on every level of your house. Smoke alarms reduce the risk of home fire deaths by 50 percent. With winter approaching, it is important to remember certain safety rules when heating your home or business. A malfunctioning furnace can produce carbon monoxide, a "silent killer," that can spread throughout your house, and an undetected gas leak can create a highly flammable and explosive environment. Change the unit's filter once a month and have a qualified professional check the unit once a year. Install carbon monoxide detectors, following manufacturers guidelines. Be sure all furnace controls and emergency shutoffs are in proper working condition. Leave all furnace repairs to qualified specialists - DO NOT attempt repairs yourself. Ensure the flue pipe and pipe seams are well supported and free of holes or cracks. Look for soot along or around seams, as this can indicate a leak. Check the chimney to make sure it is solid; are there cracks or loose bricks? All unused flue openings should be sealed with solid masonry. Most experts do not recommend the installation of any wood-burning stove unless it is airtight and has controlled airflow (wood-burning stoves are also a major concern of home insurers). If you are burning a lot of wood, your stovepipe and chimney may have a heavy buildup of creosote, which can lead to a fire in your chimney and spread to the roof of your house. Fireplace chimneys should be inspected and cleaned at least once a year, and stovepipe chimneys should be checked once a month and cleaned as needed. Ensure proper installation. Adequate clearance for wood stoves is at least 36 inches from combustible surfaces. Wood stoves should be of good quality, solid construction and design and UL listed. Do not use lighter fluid, charcoal starter, gasoline or other flammable liquids to start or accelerate the fire. 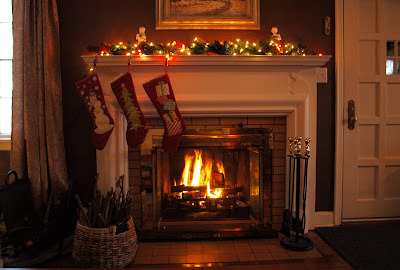 Keep a glass or metal screen in front of the fireplace to prevent embers or sparks from escaping. The area under and in front of the unit should be made of noncombustible substance. No carpets or throw rugs. Never burn charcoal indoors! Burning charcoal can give off lethal amounts of carbon monoxide. Before you go to sleep, be sure your fire is out. Never close your damper with hot ashes in the fireplace or wood stove. A closed damper can help rekindle the fire, forcing toxic carbon monoxide into the house. Never break a synthetic log apart to quicken the fire, and never use more than one log at a time. They often burn unevenly, releasing higher levels of carbon monoxide. When emptying the ashes from the wood stove or fireplace, put them in a metal container and place outside the building. Let them sit for a while to cool, or add water to the container to make sure all the ashes are out before disposing of them. Each year, there are an estimated 10,000 fires involving Christmas Trees. Most of these involved short circuits from the use of extension cords or connecting too many strans of lights. One of our favorite episodes of Mythbusters involved tests to see if the heat from Christmas lights could spark a fire - they did not. And as tests by the National Fire Protection Association show, when a dry tree goes up in flames, it goes fast. Another more common holiday fire involves frying turkeys. The news clip below has some some safety advice for those using fryers this Thanksgiving. 1. Your business has been burglarized and you find yourself standing amid broken glass. There's trashed shelving, broken displays and missing merchandise. While vowing revenge the thought comes to you mind: will my insurance cover this? 2. You realize your favorite cashier is stealing from you. Taking $20 here and $50 there for several months. Now your loss totals more than $2000. You make a note to call your agent the following day and ask: will my insurance cover this? 3. You can't believe it! Although your inventory records say you have 50,000 widgets in stock, there are only 1000 in the warehouse. What happened to the other widgets? Lost? Stolen? Never delivered? As your heart sinks over the lost sale, you think: will my insurance cover this? 4. You watch sullenly, held motionless by the gun, as the thief cleans out the cash from your register. As fear mixes with anger, its doubtful that you're presently asking yourself: will my insurance cover this? One of the often confusing attributes of crime insurance is that the terms used in the insurance policies reflect legal definitions, not the meanings we assume in everyday conversation. For example, in relating any of the above situations to a friend, you may describe all four as "I was robbed" or "that thief took everything I had!" Yet, according to an insurance policy, the above incidents are four very different types of claims, and are described by four different, and sometimes mutually exclusive, terms. In order of their appearance, the terms are burglary, employee dishonesty, disappearance and robbery. All of them, once connected to a dishonest act, are considered a form of theft. So, if you want to be sure you have the proper crime insurance, do you have to memorize a batch of legal definitions, or risk buying the wrong coverage for your business? No, you just need a good agent or agency (like us!) who deal with crime insurance and already familiar with the vagaries, and can make sure you get the coverage most needed by your business. There are a couple basic issues to consider with crime insurance. First off, what is it you are afraid will be the focus of the crime? For some businesses, cash is their biggest exposure. For other businesses, merchandise may be the key target. A jewelry store may have little cash on hand and a guard on duty during store hours. Their real exposure may be the risk of someone breaking into the store safe and making off with a small fortune in merchandise. Second, who is most likely to commit the crime? For many businesses, the real exposure isn't someone outside the business trying to break in, but rather someone inside the business carrying the property out. It will do you no good to put bars on the windows, install a state of the art security system and then hand the keys to an employee you hired last week and say, "be sure to lock up on your way home." Do you have a bookkeeper, cashier or store clerk who can readily walk out the door with your property? For other businesses, particularly those with few or no employees, the greatest exposure will clearly come from the outside. Below is some sample policy language from some of the more common policies we sell concerning various forms of theft. Money & Securities policy language, pg 1. Money & Securities policy language, pg 2. Employee Dishonesty policy language, pg 1. Employee Dishonesty policy language, pg 2. The exhibits linked to above are used as examples only. Always read your policy, as the language in it may differ. A criminal may steal your stuff. Don't let poor insurance planning and protection steal your dream. Portions of this article were culled from the Trusted Choice website. We know this is a law many of you have been watching closely and anxiously awaiting the passage of. We'll pass along any further information on this subject as it comes out. If your business has your machines in, we'd love to hear feedback about them, the process of getting approved and getting your machines in, and the results you're seeing so far. Has it been worth it? More trouble than it's been worth? Start a discussion on our Facebook page. Personal Articles - Are Yours Covered? If you believe Hollywood's depiction of a typical heist, you'd think that only cars and cash are the targets for thieves looking to strike it rich. Not so. There are tons of cases involving stolen antiques, art, and collectibles. While reading an article about a March 2012 case where a thief conspired and stole historical documents from museums in Pennsylvania, New York and Connecticut, then sold them for profit, we came across an FBI statistic that estimated $4.6 billion in in lost property in 2010. A good portion of that was stolen collectibles. Of all burglaries recorded, nearly 74 percent were burglaries of residential properties. 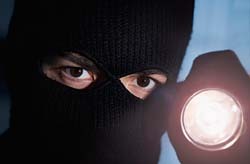 Top targets for burglars entering a home include: electronics, jewelry, art, antiques, collectibles, and rare items. It's an insurance agent's job to help clients protect what they collect. Typical homeowners' coverage may fall short to protect the valued collections of personal lines customers: at the time of claim, sublimits for collections may restrict coverage well below the value of a collection. A homeowners policy likely does not cover risks such as accidental breakage, flood and earthquake. First, let's look at some of the more sought-after collectibles and the risks they present. Antique collections are the most targeted item for thieves because they're hard to trace and easy to resell. There seems to be a recent fascination with antiques in the last decade or so, with shows like PBS' Antiques Roadshow and the History channel's Pawn Stars and American Pickers sending folks digging through their parents' basement and/or buying up vacated storage units hoping to find treasure among trash. Some thieves even go to extreme measures to get their target. Similarly targeted, but only very rare cards collected by active collectors would be difficult to unload without attracting attention. One of the more sought after items for thieves, coins are easy to steal and seemingly easy to dispose of. Even so, some thieves seem to have no idea how valuable some of the coins can be. A collector in Oregon was reunited with most of his collection after thieves deposited them in a supermarket coin counting machine. They got $450, but the collection was worth several thousand dollars. An upward trend in gold and silver prices is boosting the appeal of stealing coin collections. Here's one example of an uninsured loss of over $160,000. Depression glass, crystal goblets, even stained glass items can be targets. One of the more notorious thefts of crystal involves a crystal ball now housed in Philadelphia's Penn Museum. Fathers, lock up your daughters - or rather, your daughters toys. Barbie dolls are sought-after collectibles. One collection of 25 dolls valued at $2000 was stolen in Virginia in the last year. The motherlode of all Barbie stashes though - 5000 dolls - was valued north of $1 million at the time of it's theft in 1992. That loss was also uninsured, although the collection was recovered later that same year. When a California man pleaded guilty in March to stealing movie posters and reselling them, the victim (CBS) valued the posters at $450,000. Your great-aunt's figurines aren't just pretty - they may also be valuable. A St. Louis woman was sentenced to a year in jail for stealing Steuben Crystal glass figurines valued at $15,000 from a local residence. Guns are a popular target for thieves. In one instance, a firearm dealer returning home from a gun show had more than $200,000 in guns stolen from his truck as he sat inside a restaurant. Any item of historic significance can be stolen and may be valuable. Take the case of the Civil War flag from the Indiana War Memorial Museum that was swiped in 1997. It took 10 years, but the flag was finally returned when an antiques dealer spotted the flag while visiting a business liquidation sale and notified the FBI. The flag, valued at $50,000, is now back with the museum. There are collectors and valuable collections on every American street. All it takes is the right thief to recognize the value of certain collectibles. There's a litany of uninsured horror stories we could link to, so how do you properly protect your stuff? Some of your special possessions covered under your homeowners policy may be severely underinsured, or even completely uninsured. 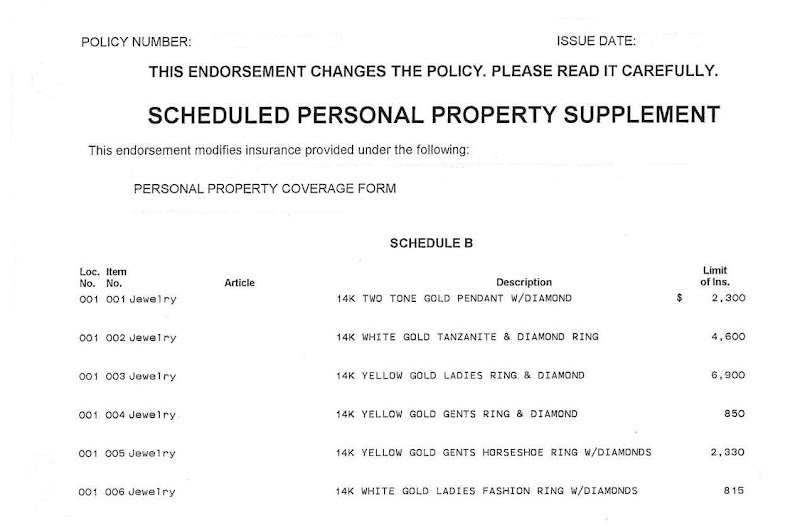 Homeowners policies may cover certain items such as jewelry, electronics and other valuables. However, the amount of coverage is often limited. Depending on the item, the coverage may be anywhere from $500 to $2500 and may include a deductible. For example, your jewelry may be included on your Homeowners policy under Coverage C - Personal Property for any type of loss covered under the policy. Unless your jewelry is stolen, in which case you may have a sublimit of just a couple thousand dollars. 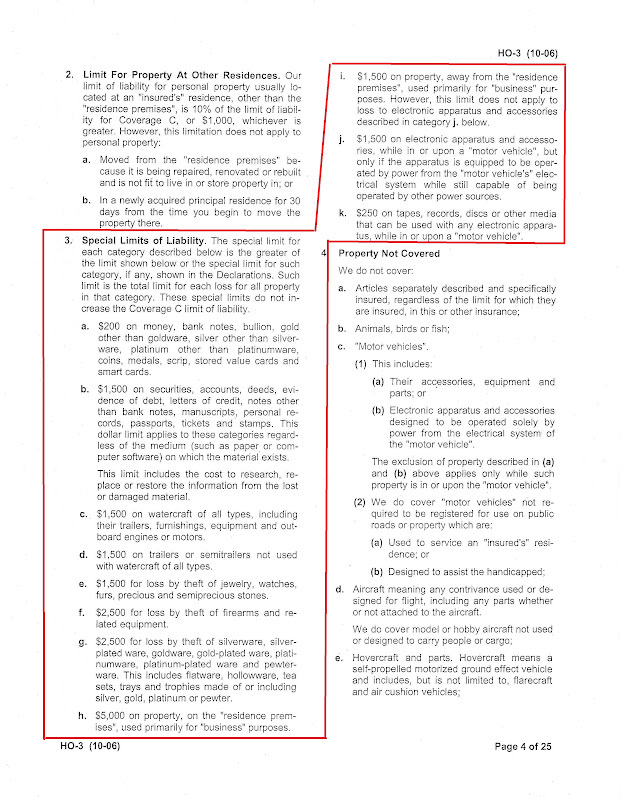 Special Limits on Personal Property, from a sample Travelers Homeowners policy. Click here to enlarge. How can you insure your valuables that may not be covered, or covered adequately, by the Personal Property section of Homeowners policy? The solution would be to add a personal articles floater (PAF, for short) to your policies. Depending on the carrier, a personal articles floater may be a separate policy or a supplemental rider added to your Homeowners policy. What can be covered under a personal articles floater? Why use a Personal Articles Floater? An item's value is not the only consideration when determining whether to buy a PAF policy. The type of peril to protect against should be considered, whether a stone falls out of your engagement or wedding ring or you computer is damaged in a flooded basement. These are damages typically covered under a personal articles floater policy versus a homeowners policy. Depending on where you buy your policy, you can either itemize your valuable items on a separate personal articles floater or list your items on a blanket coverage. Insurance companies have different requirements depending on the item(s) and respective value(s). If you have appraisals for your valuables, you should be able to get the PAF written on an "Agreed Value" basis. Having an appraisal on a piece of artwork means that if you were to file a claim, you would be reimbursed for the appraised value. If you don't have appraisals but have some sort of proof of purchase, such as a receipt, the total of all items would be included on a blanket coverage. However, the coverage is based on replacement cost or actual cash value versus agreed value. So you may not be covered for the full amount of what you paid for the actual lost piece. 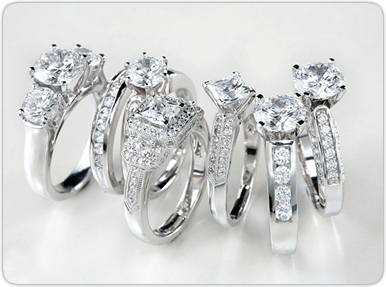 Regarding "pair and set" coverage, which would be used for jewelry including earrings or an engagement ring and matching wedding band, the carrier will reimburse you for the full cost of the pair or set as long as you surrender the existing pieces you have in your possession to the carrier. In other words, if the policy reimburses you for the loss of one earring and you have to buy a pair to replace them, you have to surrender the other earring as part of the claim. List your valuables. If you have a collection of items you would like to insure, provide a list of these items to your agent. The list should include a detailed description of each item and their appraised or purchased value. An appraisal is typically acceptable if it was done within the last 5 years. Check your policy provisions for newly acquired property. What happens if you buy a new piece of artwork or jewelry after the policy is in place? Make sure you understand what you have to do to get it covered under the policy. Is there a deductible? Ask your agent if the personal articles floater has a deductible and if you can adjust the size of the deductible to minimize the premium cost. Keep photos or video of your valuable items in addition to appraisals and proof of purchase. You'll need these in case you ever have to file a claim, so be sure to keep them in a safe deposit box or scan them and keep several electronic copies in different locations. Consider installing an alarm system in your home. Increased home security should translate into a discount on your premium. Can you store your jewelry and other valuables off-site? If the items can be placed in a bank safety deposit box, this will also qualify for a significant savings on the policy premium. A sample PAF schedule. Click here to enlarge. We've written in the past about Mine Subsidence (Spring 2007, Spring 2010, Summer 2011) - usually in the spring, when the ground softens and thaws, as that's generally when there are more incidents of Mine Subsidence. But there was one recent incident of Mine Subsidence that caught our attention. The US Ice Sports Complex in Fairview Heights, Illinois recently sank due to mine subsidence. We've heard some parts have dropped as much as 22 inches. The ice surfaces are cracked, the building has structural damage and all events at the facility have been shut down since October 8th until further notice. In one interview we caught, a representative from the Illinois Department of Natural Resources (IDNS) said the mine the rinks sit atop of was closed in 1954 and runs 150 feet deep. Much of the Metro-East area has a history of mining. The Illinois State Geological Survey Prairie Research Institute out of the University of Illinois has an interactive map tool, where you can enter your address and see known mines in your area. We've tried to find similar tools for Missouri and Indiana. This link seems to be the best we could dig up for Missouri, although the mapping tool seems slow and a bit clumsy to use. Indiana has a decent mapping tool, where you can also search by address. Now, the problem with mapping tools is two-fold. First off, older mines may never have been mapped, period. Secondly, they may have been recorded before the days of GPS, which may lead to some margin for error with the maps. Heck, the Indiana Geological Survey out of the University of Indiana has a plea for citizens on their homepage, urging them to turn any old mine maps they find over to them, so that they may update their own mapping tools. It's unknown whether or not the US Ice Sports Complex had mine subsidence insurance, but we would venture to guess they did, given that Fairview Heights, IL is known to be greatly undermined. But there could be another problem. In Illinois, the maximum amount of mine subsidence on a commercial property through the Illinois Mine Subsidence Insurance Fund is $750,000. The extent of the damage is unknown, but it would not be a stretch to imagine damages running past that amount. Mine Subsidence coverage is available beyond that amount, but not through the fund. Additional coverage would've needed to be purchased through another insurance market, which can be difficult to find and expensive to obtain. 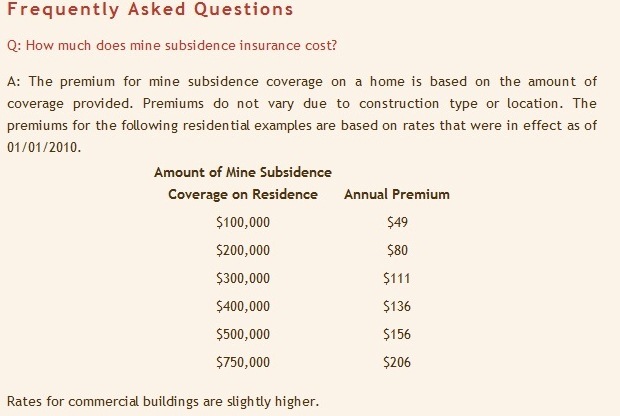 Residential Pricing for Mine Subsidence coverage in Illinois. The maximum available on homeowners policies is $750,000 through the fund. Mine Subsidence coverage is fairly inexpensive, as depicted above. Missouri does not have a state-run Mine Subsidence insurance fund, only a fund to repair land, not property. Structural repair is the responsibility of homeowners and their insurers, if their insurers offer the coverage themselves. Indiana, like Illinois, also has a state-run Mine Subsidence Program. The maximum limit available is $200,000 per structure. Here are some additional details about Mine Subsidence coverage in Indiana. Again, to get Mine Subsidence coverage in excess of the maximum amount under the state fund, you would have to find coverage through another insurer issued on a separate policy, which can sometimes be tricky to find and expensive to purchase. We offer a full-line of personal lines coverages for home, auto, boats, motorcycles, RVs and more. Give us a shot at your next renewal to see how we compete. Stonegate is a newer insurance company that we have just contracted with in the last 2-3 months. Right now, they only operate in Illinois and are not yet rated by A.M. Best or any other 3rd party analysis firm. Stonegate's appetite is what led to us giving them a shot. In addition to the usual Personal Lines risks - home, auto, condos, renters, and rental property, their goals for desired Commercial Lines accounts closely aligns to what we write the most of - hospitality businesses of all shapes, sizes and characteristics, used auto dealers and small-to-medium contractors. We know they won't be a fit for everyone. 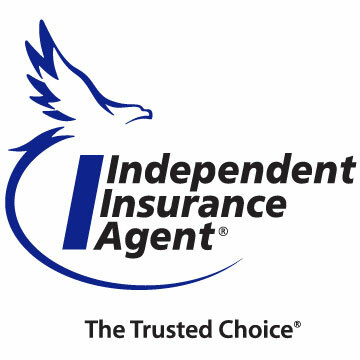 Whenever possible, we'd much rather place your insurance with a company that's highly rated and more experienced. But they may be an alternative for some of our clients with fewer options. Our office will observe the following holiday schedule. 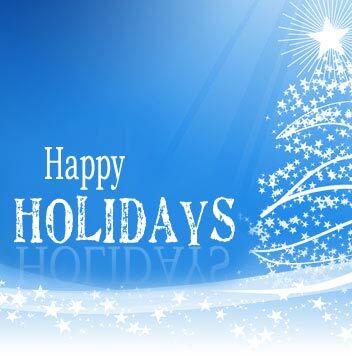 We wish you and your family a safe and happy holiday season, and best of luck in 2013.